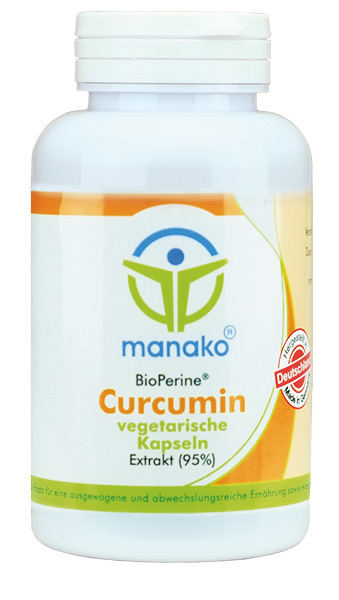 Product information "Curcumin with BioPerine® Capsules 120 pcs." The use of curcumin in combination with peperine can help to regulate the digestive system especially after fatty food. 3 x 1 Kapseln täglich nach den Mahlzeiten mit viel Flüssigkeit einnehmen. Organic Turmeric Capsules 120 pcs. Organic Turmeric Capsules 3 x 120 pcs.